I just got back from another job interview, this one in St. Louis. Again, I'm fairly confident it would have been bizarre to walk around taking photos whilst on a job interview, but here's a photo from St. Louis nonetheless. 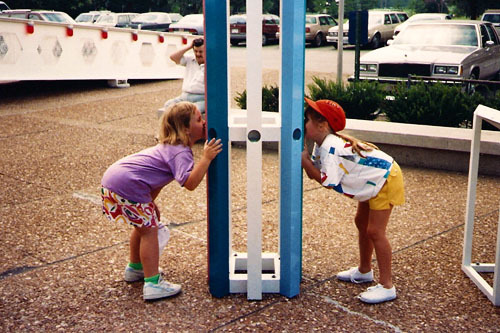 Twenty-two years ago, with my cousin, at the St. Louis Children's Museum. I still have trouble listening sometimes. You both just love to talk a lot!